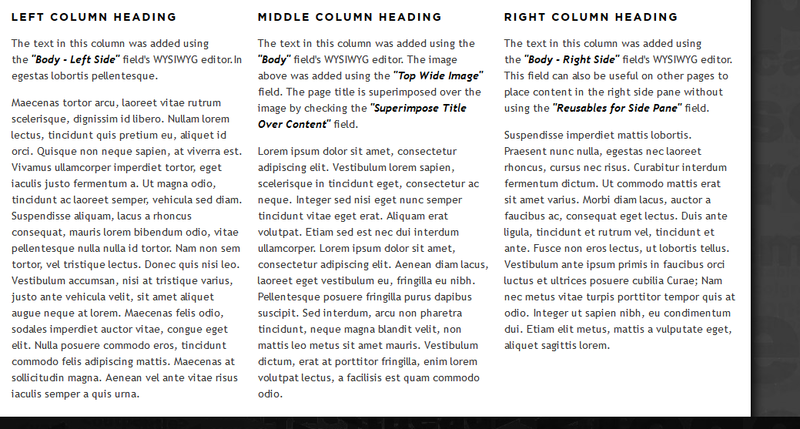 Instructions how to make multiple columns using drupal. Add info to each rich text field. Each one you add info to adds another column.